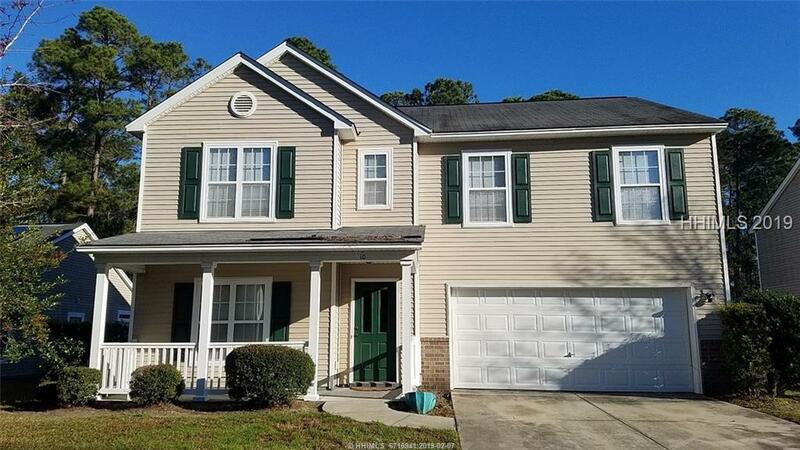 Large 4BR home convenient to Old Town Bluffton. New AC. Stainless stove, refrigerator, microwave. Granite countertops. This home boasts an extremely large master bedroom, living room and family room! Plus you get a screened patio overlooking wooded backyard. Community has a swimming pool and low HOA! If you want a large home near everything Bluffton has to offer, nook no further. This well priced home is it! Owner is SCREA.